In this article we’ll show how remote users can change their expired passwords on a Remote Desktop Services (RDS) farm running Windows Server 2016 / 2012 R2. 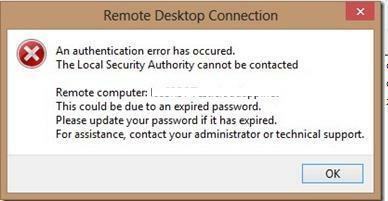 Thus, when using NLA, the problem of changing an expired password over RDP can become almost unsolvable for remote users having no other ways to logon to the corporate computer or server. 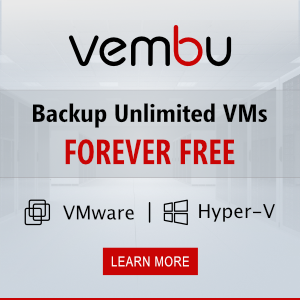 Certainly, you can ask your users to change their passwords directly in the RDP session in advance, but it doesn’t always work due to a common forgetfulness of the users. 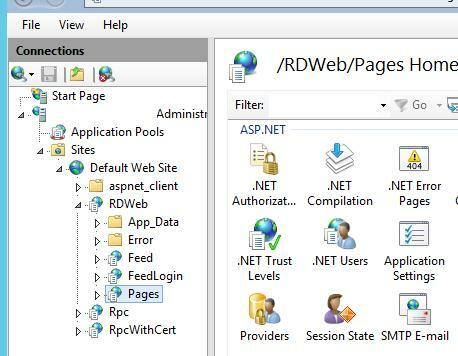 In Windows 2012 / R2 and newer an option that allows a remote user to change their password (current or an expired one) using a special web-page on the RD Web Access server appeared. The password will be changed like this: a user logs in to the registration web page on the server with the RD Web Access role and changes his password using a special aspx form. Note. In the outdated Windows Server 2003 you can use a small web application IISADMPWD for remote password change in the domain (though not officially supported). A remote password change option is available on the server with the Remote Desktop Web Access (RD Web Access) role, but it is disabled by default. 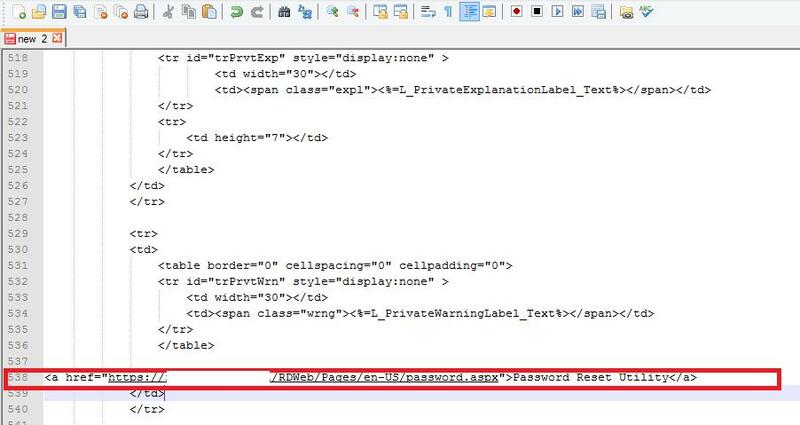 To change a password, a script password.aspx is used, which is located in C:\Windows\Web\RDWeb\Pages\en-US. If you are using a localized version of Windows Server (without language pack) the path to the password.aspx file will be different and look like this: C:\Windows\Web\RDWeb\Pages\fr-FR – for the French edition of Windows Server or C:\Windows\Web\RDWeb\Pages\de-DE – for German. To enable the password change feature, you need to open the IIS Manager console on the server with the configured RD Web Access role, go to [Server Name] –> Sites –> Default Web Site –> RDWeb –> Pages and open the section Application Settings. 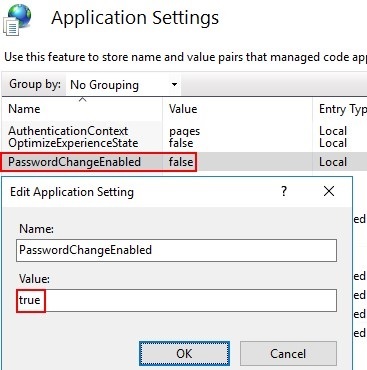 In the right pane, find PasswordChangeEnabled parameter and change its value to true. Restart IIS from the console or using the iisreset command. 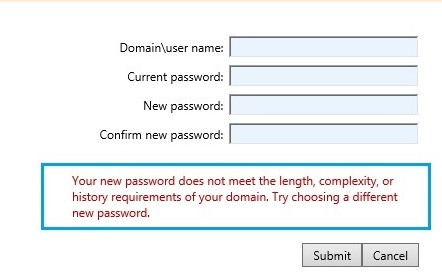 Your new password does not meet the length, complexity, or history requirements of your domain. Try choosing a different new password. 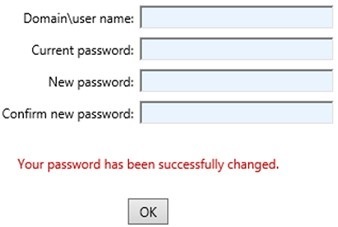 You can use this password change way on the Remote Desktop Web Access server only if Forms Authentication is enabled on the IIS on RDWA server. You won’t be able to change the password through the RD Web form if the Windows Authentication method is used. Now when trying to connect to the RD Web Access server with the expired password, the user will be redirected to password.aspx web-page and offered to change his password. Tip. 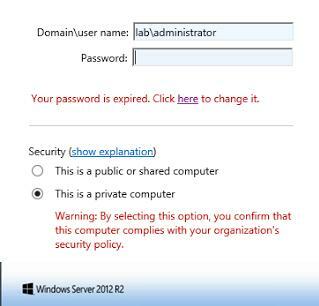 Similar functionality for changing the password in Windows Server 2008 R2 with the RD Web Access Role can become available after you install a special update – KB2648402. You can add a link to the password change form directly to the registration web-form on the RDWeb server. This will allow users to change their password any time without waiting till it expires. Let’s add a link to password.aspx to the RDWeb sign-in page (create a backup copy of the password.aspx file before editing). Save the changes in the login.aspx file, restart the IIS web-site and make sure that a link to the password change page appears on the sign-in page of the RD Web server. Now remote users can change the expired password on your RDS farm without administrator intervention. Thank you so much for the guide; however on step two you mentioned going to line 583 yet the image shows line538.